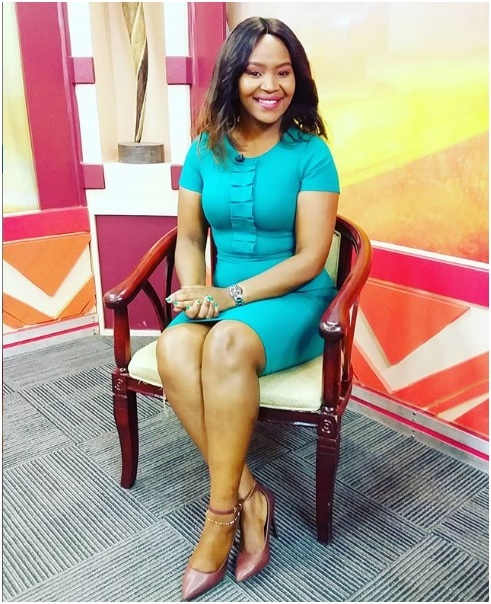 Tuesday, March 26, 2019 - The hottest presenter at Kameme TV has fired salvos at those people who have been claiming that she flaunts too much flesh when reading news. 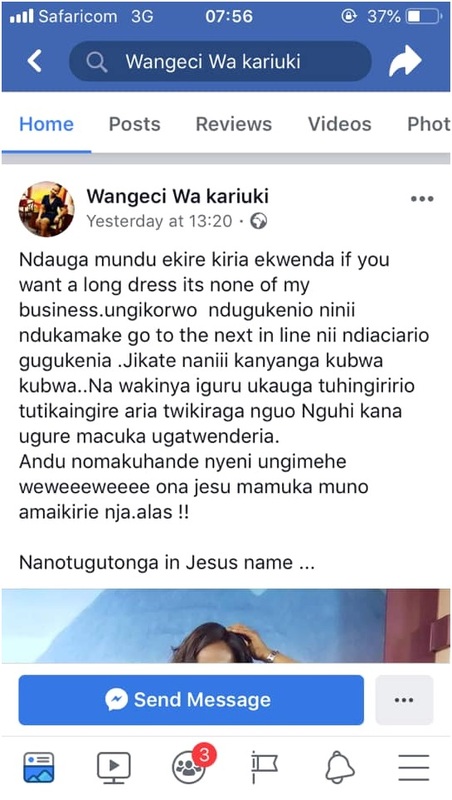 Some viewers of Kameme TV have been complaining of Wangeci wa Kariuki’s short dresses but she is not mincing any words to her haters. 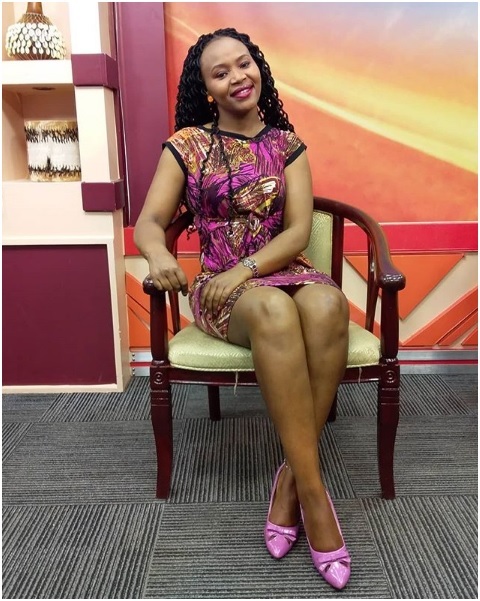 Wangeci took to social media and put it clear that she won’t stop wearing the short dresses and anyone who is not happy with her dressing can switch to another station. “If you want a long dress, it’s none of my business.. it’s not a must you watch me.. tune to other stations. She wrote. “If you go to heaven, tell God to lock out people like me who wear short dresses.” She further ranted. Here’s the full post on her facebook page. 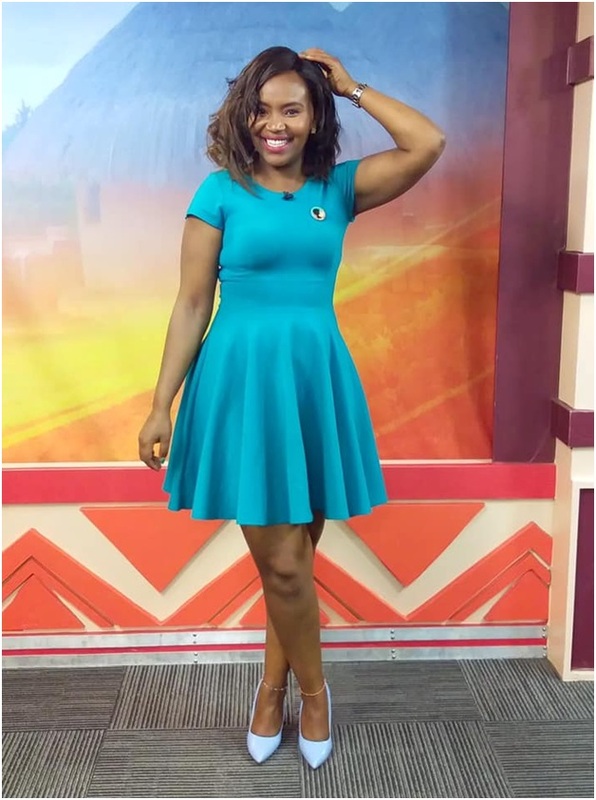 This is one of the short dresses that some viewers don’t want her to wear.